You'd think the psalter -- the "songbook of the church" -- would be easy to find. Just try and find standalone copies and you'll discover it's not. 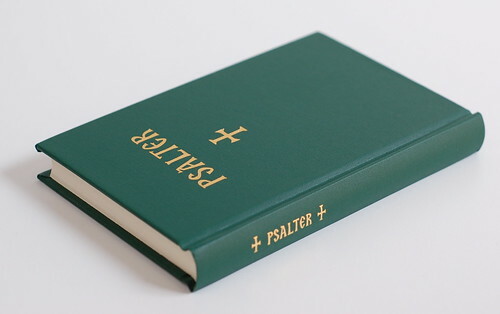 After hunting around, though, I found an impressive example of the genre, a green hardback pocket Psalter published by the Holy Transfiguration Monastery (though I actually got mine from Liturgica.com). For $14, you get a hardback with a sewn binding, printed on "Mohawk Superfine, an acid-free paper of the highest quality and durability." 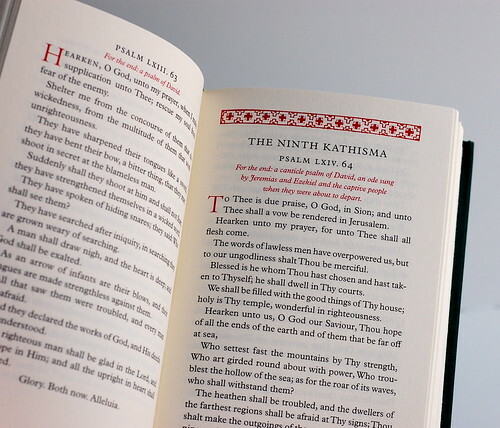 The design is Old School in the best sense, a two-color layout that is a delight to the eyes and suggests a love both for the psalter and the printer's art. 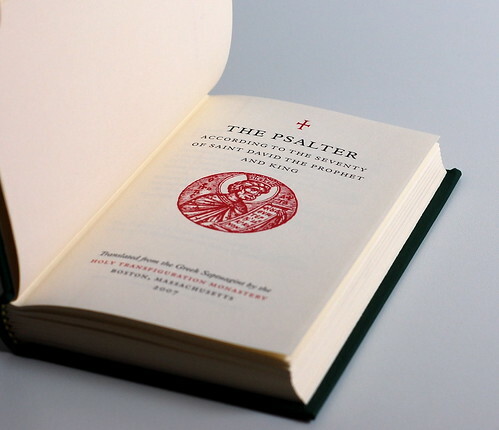 This psalter is based on the Septuagint and is newly translated. It measures 4 1/4 x 6 1/2 x 5/8". 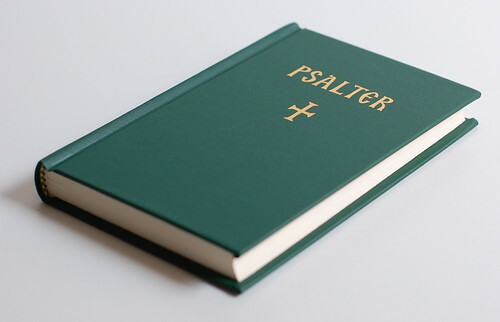 Is there anyone out there with some insight into psalters? I'd love to know more about what's out there, who uses them, and so on.